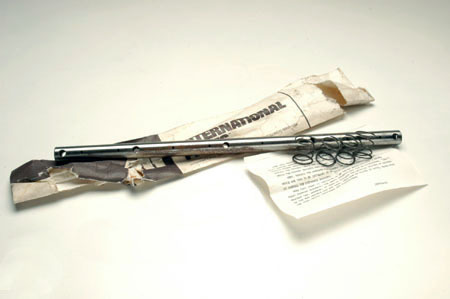 NOS rocker arm shaft! This one is held in place with 5 bolts. Others are 9 bolt. count the number of bolts that you need before you order.